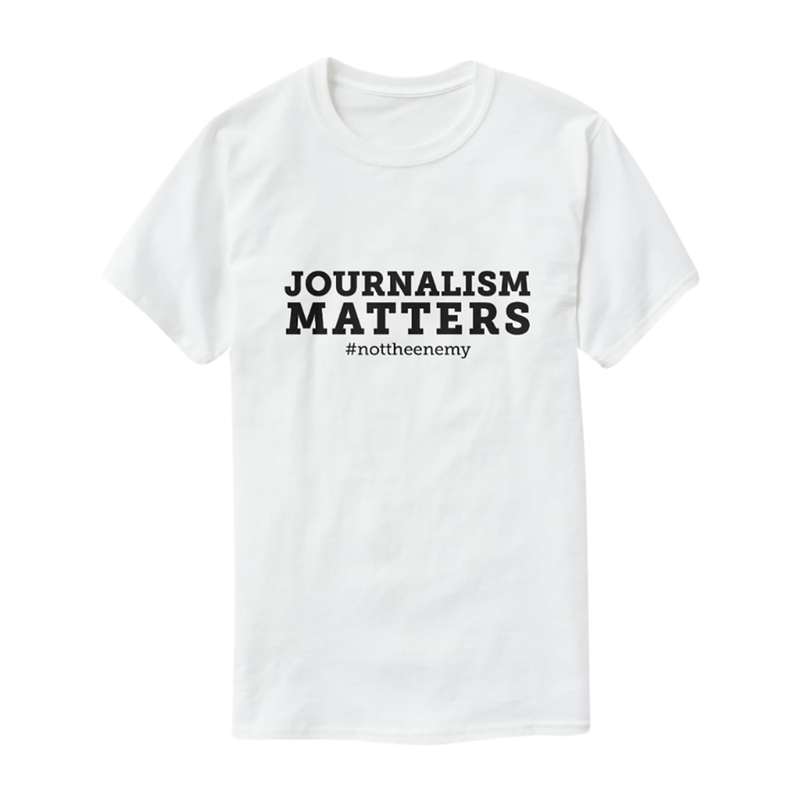 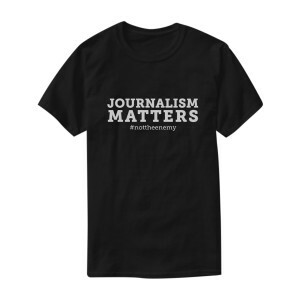 Celebrate our country's freedom of the press with this t-shirt featuring the phrase "Journalism Matters #nottheenemy." Available in Black, White or Heather Grey. 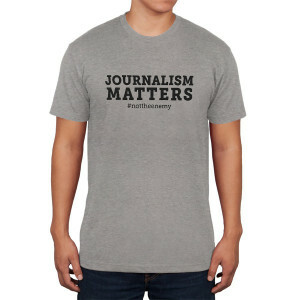 100% cotton (Black, White) or 90% cotton / 10% polyester (Heather Grey).